I got word today that Ray Strange died peacefully at home this morning. She was just shy of her 96th birthday. The daughter of Rice’s first architecture professor, William Ward Watkin, Ray grew up on the Rice campus with the children of other faculty members as her friends. 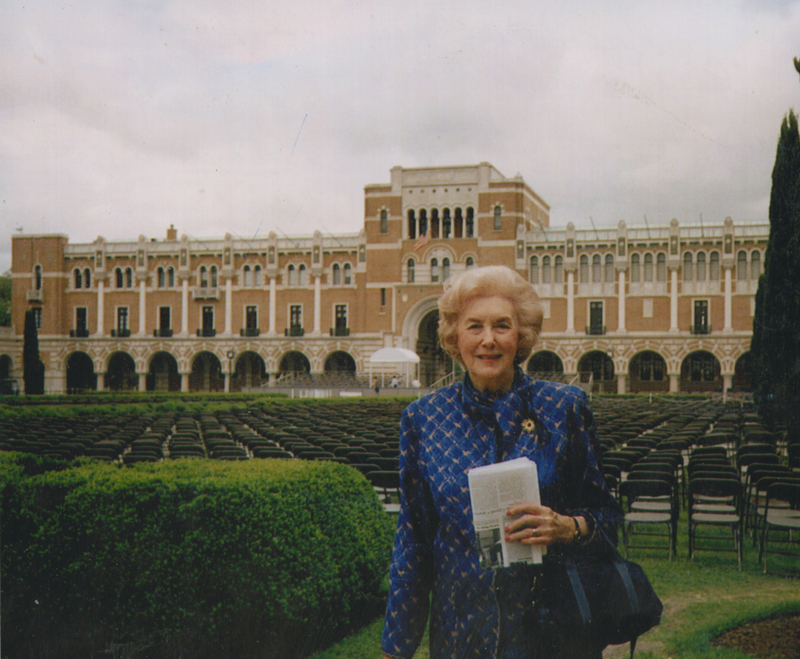 She attended Rice herself, graduating in 1936. 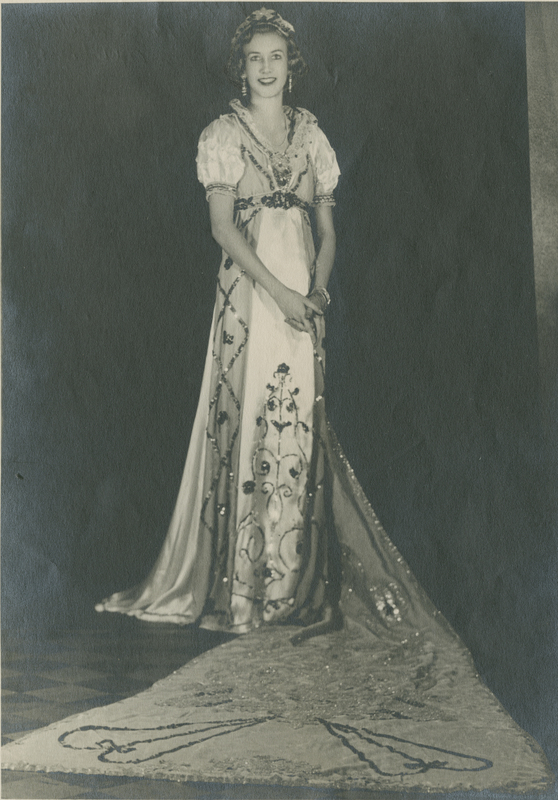 She was a beauty, tall and thin like her father, and she was also popular, the Queen of the Archi-arts Ball in 1936. Over the course of her long, adventuresome life there were several constants. She loved her family and she remained devoted to Rice until the day she died. I heard from her just a couple of weeks ago–she was pleased with my piece about the centennial of Lovett Hall, but a little disappointed that I didn’t have enough space to talk about her father. Ray has been a dear and generous friend to the Woodson Research Center. The university archives, in fact, are named the William Ward Watkin and Annie Ray Watkin Archives in honor of her parents. She was also active in the Rice Historical Society and an earlier group, the Rice University Historical Commission, and spent a great deal of her own time collecting and preserving the history of her beloved Rice. Ray was a wonderful person, outgoing, full of ideas and strong opinions about how things ought to be done. She was tremendously proud of Rice and protective of its reputation. This is a sad day and truly the end of an era. Ray Watkin, Rice Duchess at the 1935 Galveston Mardi Gras Ball. RIP.